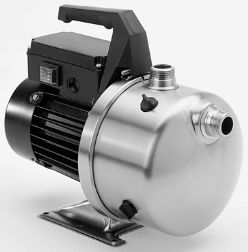 Built for long trouble-free life, the small and handy Grundfos jet pump is suitable for a wide variety of water supply and transfer duties in home, garden and hobby applications as well as in agriculture, horticulture and small-scale service industries. 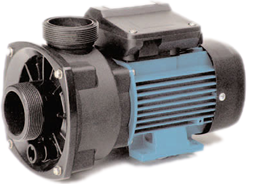 Combined with Presscontrol or tank for demand control the Jet pump is ideal for small water supply systems. subsequent flushing with clean water. The pump must not be used for transfer of diesel oil or other oil-containing liquids. Flow, Q: Up to 75 l/min (4.5 m3/h). Head, H: Maximum 40 metres. Operating pressure: Maximum 6 bar. Suction lift: Maximum 8 metres, including suction pipe pressure loss at a liquid temperature of +20 °C. Liquid temperature: 0 °C to +55 °C. Ambient temperature: Maximum +40 °C. vanes for optimum self-priming properties. Stainless steel cover plate, aluminium motor stool and stainless steel base plate, all separate parts. 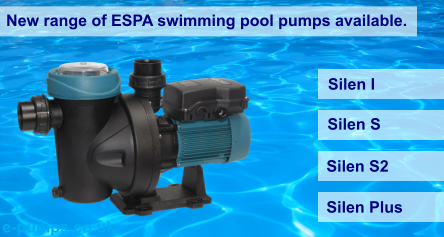 The robust design makes the pump suitable for fixed installation. The custom-built composite handle is fitted lengthwise.